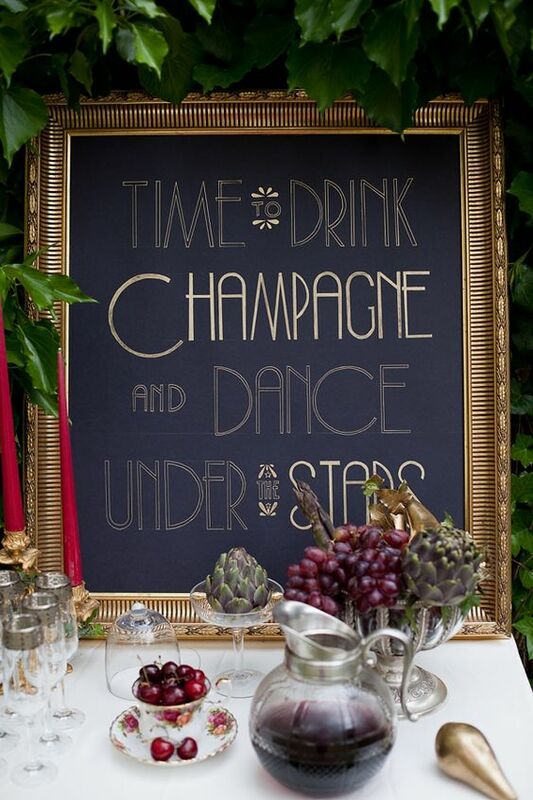 Have a glamorous vintage wedding with a millennial take on Gatsby-inspired style. 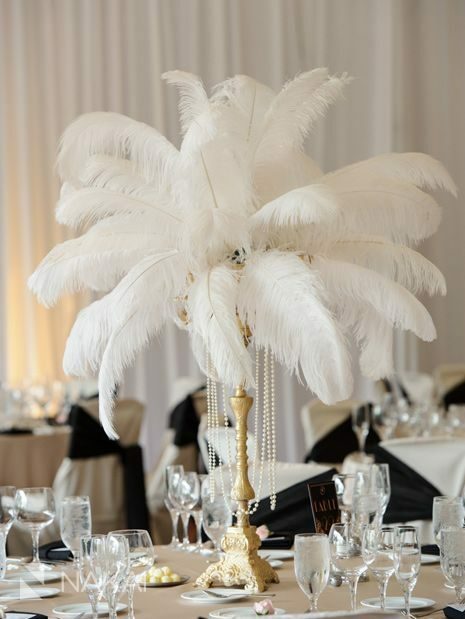 Think statement candelabras and art deco feather centrepieces, but bring these into the 21st century with natural feathers mixed with flowers in vintage vases. Tinge the golden age with modern industrial using coppers and brushed metallics for your décor and even your clothing. Wedding dresses for a glamorous vintage bride should feature art deco inspired beading, long sleeves or delicate laces. Side partings with waves or plaits are the perfect bridal hairstyle for the glamorous vintage bride, while make up should be understated on the eyes with bright red statement lips. 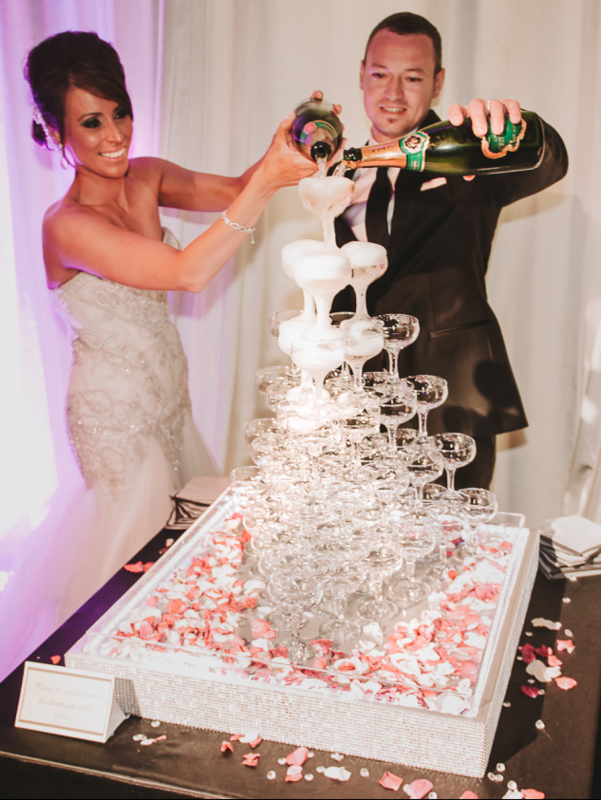 Be inspired by the prohibition for your wedding food and drink for a glamorous vintage wedding with mini bottles of champagne for favours, contrasted with grand champagne towers. 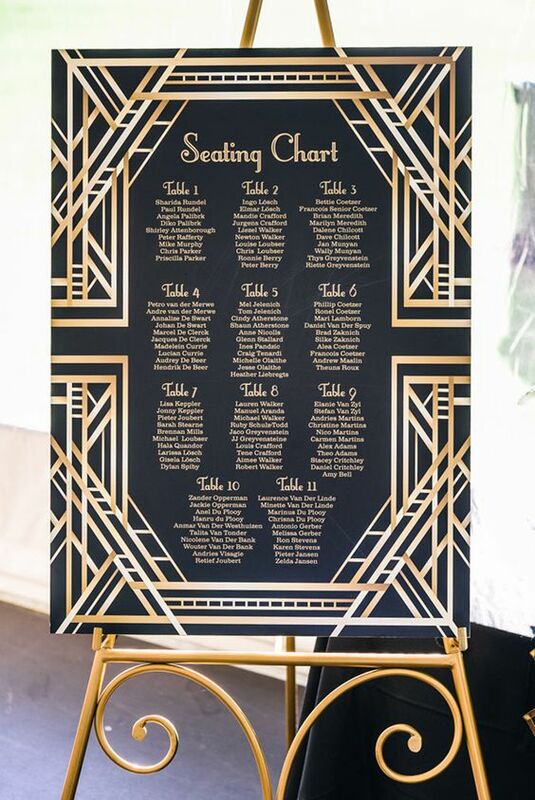 Bring back the golden age with gold bridesmaids’ dresses, gilt-framed seating plans and table numbers and even a chandelier. Or, if sparkly things aren’t really your thing, give a nod to the 1920s with accents of gold. Use softer coppery tones or rose gold for a more subtle, modern take on vintage. Again, the combo of black and white and geometric shapes is reminiscent of Gatsby. Table decor and even place settings can look pretty chic in black and ivory. 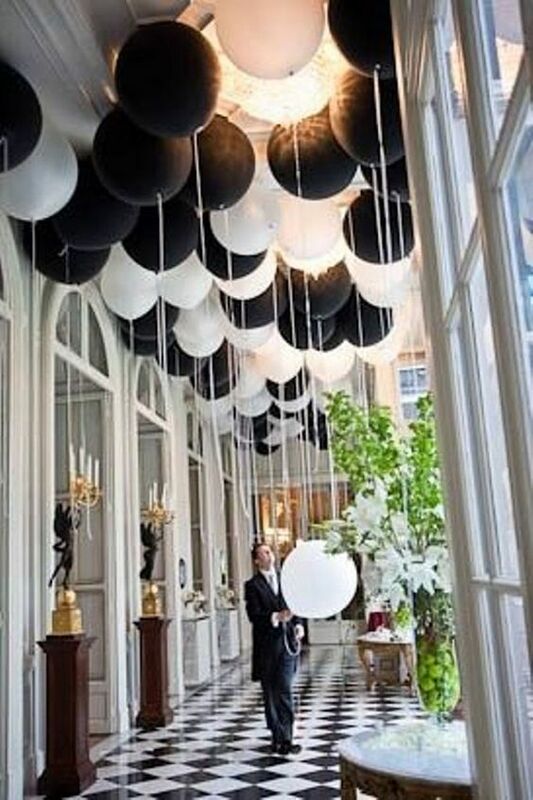 Balloons are a great way to get your colour scheme into your venue. Coloured paper lanterns also look fab if the venue has the right light fittings. Celebrate the end of prohibition with your very own champagne tower! 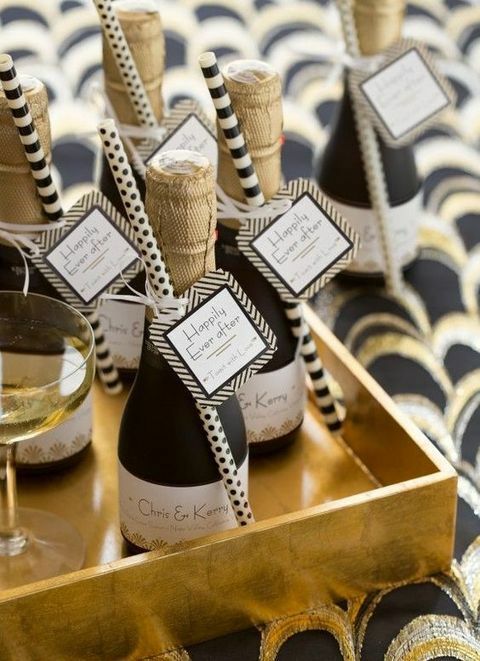 Talking of champagne,what could be more in keeping with a Gatsby theme than mini champagne for each guest? Certain fonts inspire nostalgia for the 20s. Use signs to help illustrate your theme (as well as helping guests). Use pearls in your decor for authenticity. 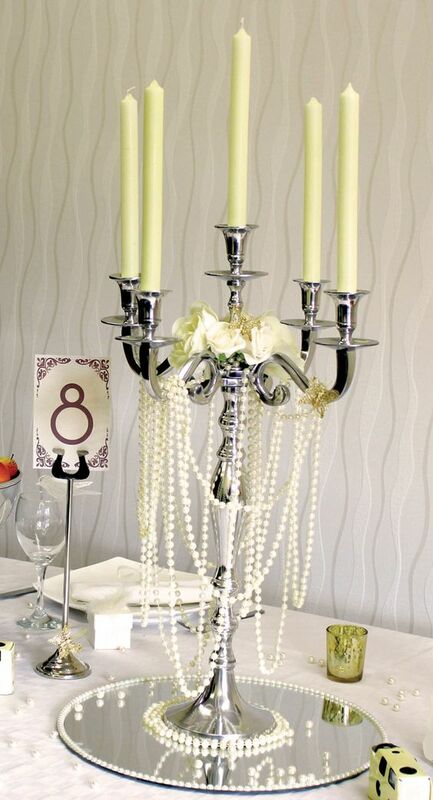 Draped over candle holders works well and create an effective and low cost centrepiece.